Selecting all photos on phone? I'm trying to transfer photos off my Samsung Galaxy S4, but all I can do is click each one separately! Surely there's a way to Select All? If so, I can't find it. Re: Selecting all photos on phone? Sorry that select all photos on your phone to send to pc is not supported now. Well that's just ridiculous. What's the point of marketing a program that purportedly allows you to tranfer files to your PC from your phone and then no longer allowing bulk transfers? What a total crock. I'm now deleting the software. Madness. Sorry about the inconvenience. We've collected your feature request and will consider improving it in future updates. Go to Files in AirDroid Android app > Photos > go to one folder, select one photo, you can select all now by tapping All > tap Share > select AirDroid Desktop, all photos will be sent to AirDroid desktop now. Complicated but works. We'll consider improving this. Share does not work. It only says "Can not share folder". But you can try download the folder via web.airdroid.com. Are you fricking kidding me?!?!?! I can't find my photos. I have switched phones and can't find my pics anywhere in my mac???!!! It keeps looking for my old phone. WTF? !?!?! 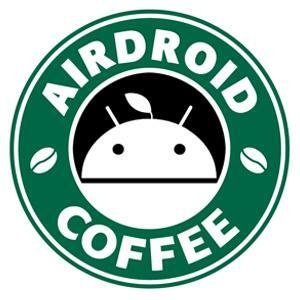 Hi, did you sign in to AirDroid Mac and the new phone with the same AirDroid account? And are you using http://web.airdroid.com? If you want to manage photos on computer, pls install AirDroid on your phone and sign in to it with AirDroid account. Then go to AirDroid Web and sign in to it with the same account > Photos. The select all and share option identified above doesn't work. It opens the Airdroid app but doesn't retain any of the selected images to send. Is there any way to bulk transfer all of my photos, via bluetooth, from my phone to the laptop it's sitting beside, using airdroid?